Hey! I’m over he-ya – These Two Eyes! Hey! I’m over he-ya…yup, right he-ya. That’s “here” for all you people. Exactly! So I love Sydney. Straight up, no lie. When I was traveling back in November it was places like Sydney that made me say, “Damnit, I’m going to move here!” – he-ya. But let’s be honest, Brisbane isn’t’ Sydney. Brisbane isn’t New York. It’s all in its own. But that’s cool, we’ll just move along with it. So, two weekends ago was the fabulous Queen of England’s birthday. But not really. But they celebrated it. Okay. So I had a long weekend. I spent too much money to board a plane to guess where? Sydney damnit! And I loved it all over again. I stayed out till 7 am in “the Cross” drinking expensive-cheap bottled beers and mingled with ridiculous chefs. Actually, hilarious. Attempting to get into a bar around 5 am, we kindly got denied but we’re pointed to the “open 24 hours” joint next door. Excellent. 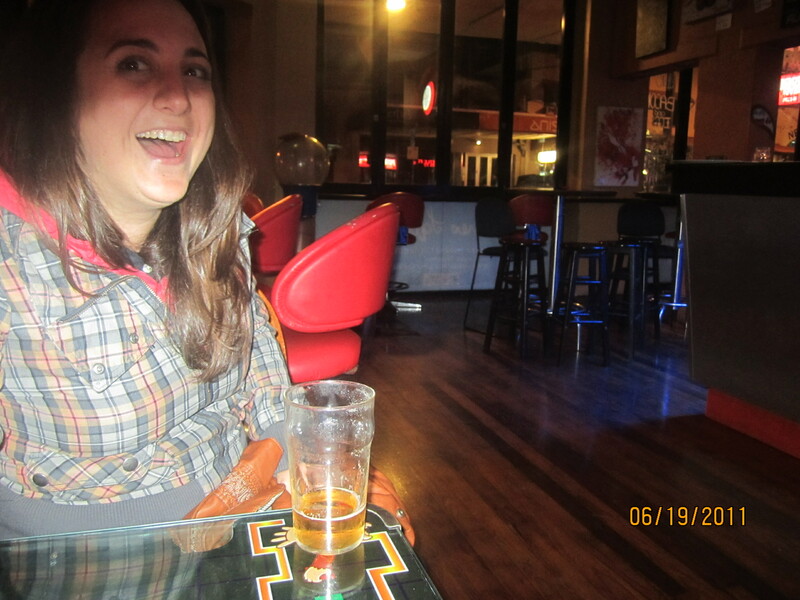 Then on a very groggy Sunday morning/afternoon we (Steph, my only friend in Australia – former Mountbatten, London, New Yorker) and I slept in late, watched some Singapore-knocked off DVDs, and finally made it out to dinner in Surry Hills around 10 pm. Yikes, the rain was pouring and it was “cold”. It was quote – cold – merely because, yes, it was damn cold, but I still don’t feel dignified to complain. So another late night out in the Cross left found me dumbfounded confronting a very cute boy I found myself confronting back in November, really? Sweet. Back in Brissy I have housemate drama but thankfully it’s resolved. Samm and I are awaiting a new roomie to make this home fabulous and beautiful and charming. This week is filled with a local sales conference in our Milton office so everyday I’m delivering what I would like to think are compelling presentations to sales reps staring back at me blank-faced. At least I get delicious food and wine in the evenings and free lunch in the afternoons. These events cannot compare the US shenanigans that go on in exotic locations around the US – with late night swimming and hotel room parties, but alas, they’ll suffice. So am I missing anything? Ummm. I’ve been laughing most often, which seems daily, at hearing the term “here”, pronounced, “he-ya”. It’s one syllable for us, two for them. It’s awesome. 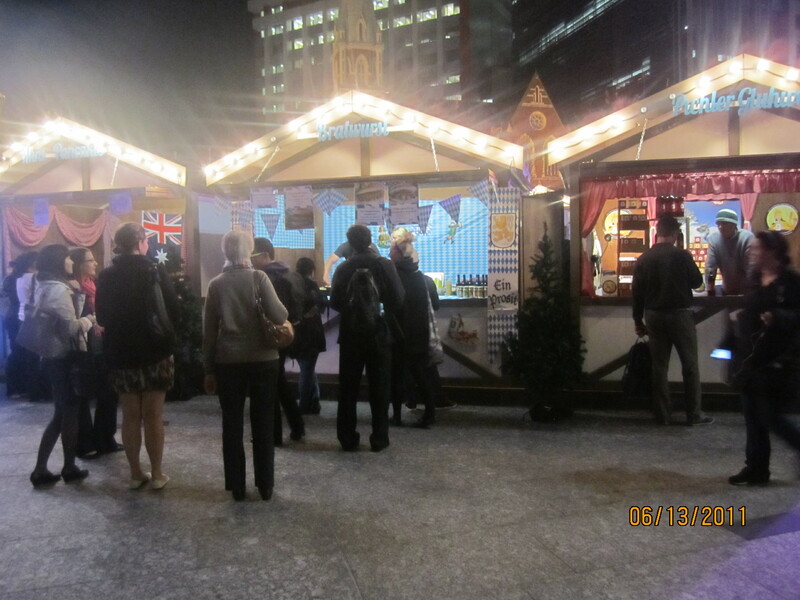 There’s a Winter Festival going on Sydney, Melbourne and Brisbane right now. The one in Brissy is in King George Square, where I switch my bus in the evenings. On Thursday I thought I’d take a gander to scope things out. I heard rumors of things such as ice-skating and mulled wine. The rumors were true, but I must be honest, the scale of this event was like the Nutcracker to a local play. I even feel silly of thinking of winter things, although it is winter and all, but with you all tan, and glorious in the sun. Anyway, needless to say, the idea is cute, and on a Friday or Saturday this place be hopping, but it’s nothing to take the time that I’m doing right now to write home about. I guess I just wanted to share a caption for the pictures. 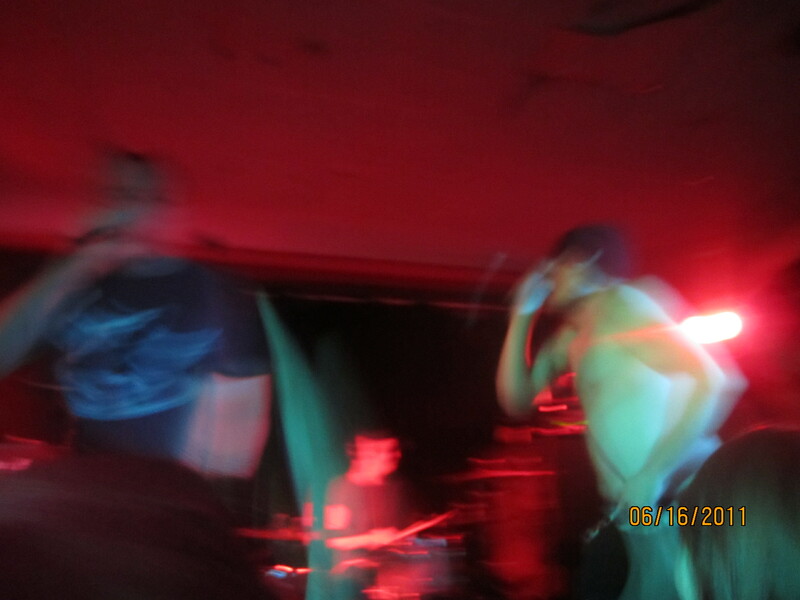 Last Friday evening I witnessed local Aussie white rap sensations Evil Eddie. It’s like Eminem, but not, all over again. It was actually kind of cool. The most memorable line was “show your back to us, shake that glutinous maximous”. Awesome Edie! 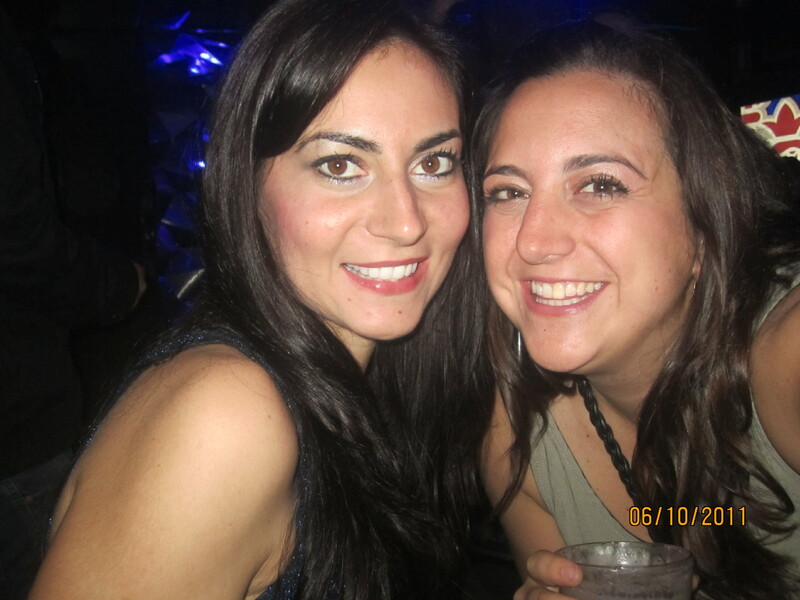 But seriously, after a mediocre night out in the Valley, Edie was a saving grace! I had a sentimental moment of Mikey-G rapping in the shed back in the day. Love it! Sunday, after eating delicious left over Indian takeaway I decided to run, and I sure as hell ran – just like Forest. I ran up the hills, and over the Story Bridge. It was pretty sweet. I came back, cleaned the apt – was dumbfounded in the grocery store trying to select cleaning product – having a cleaning lady for the past 5 years will do this to you – how the heck does it work? I have to what! With what? To the ….seriously! Yea it sucked, and now I think I should convince the others to just pay for someone to do it on our behalf, seriously. 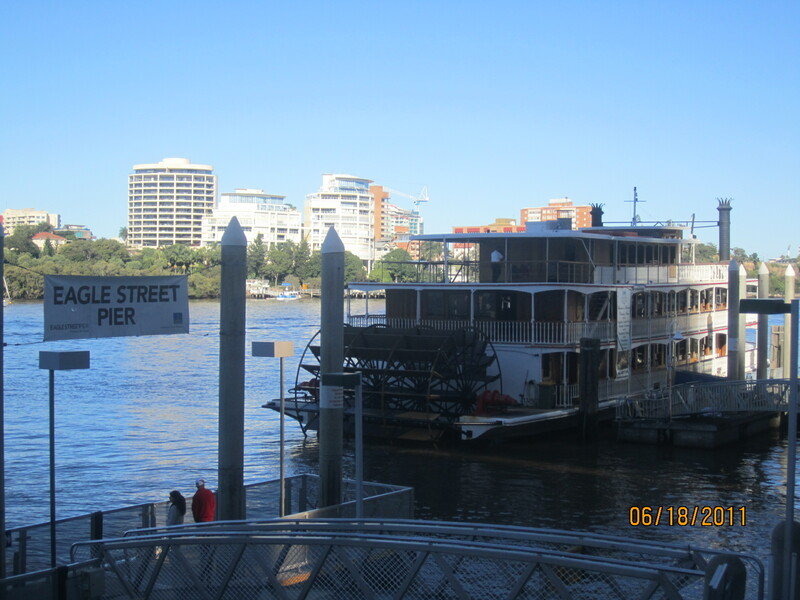 So yea, after cleaning I walked to the Eagle Street Pier to visit their Sunday markets. I love crap, so this was excellent. I even bought some jewels. At this point it was mid-day, and I thought there is no point in traveling home, as I have to meet for work drinks in a just a few hours so it was a quick jaunt to the city for a more-expensive than New York ($50!) mani-pedi session before walking the 30 minutes to our office. Holy shnikes. If I knew I’d be walking so much all day, I would have never run over the damn Story Bridge. Aside from the awesomeness it was. Last night, Samm and I wandered across the street to Alibi Room – a quirky pub on the corner that features local artwork and a laid back vibe, where I relived my college days playing Galaga, the video game, creating a top score like a top dork and knocking back a few delicious ones while bonding. This week is filled with more presentations but hopefully my next communication will be exciting. I have this weekend –guess where? Sydney bound then about 7 days in New Zealand! Yay! I also failed to mention I’m day 4 without smoking. Let’s make this happen! This made me miss you even more. We need to skype ASAP! What are you doing today around 1 or 2pm jersey time? i love u.
Wow, I really enjoyed your blog. I felt like I was reading a book. You’re funny. Glad you’re enjoying yourself mate.